Born just outside of Oxford and moving house six times throughout her life, Emma is used to new adventures and always open to changing things up. Brought up in a creative environment, Emma was all set to study dance at Roehampton before damaging her back and ultimately changing her course in life to study Fashion Marketing at Falmouth University. Moving to Falmouth was quite a change (although something she is used to doing) and Emma hopes to keep her feet firmly grounded in Cornwall. Her family shortly joined her and moved to the Lizard peninsula a year after – something that doesn’t surprise her with her ‘get-up-and-go’ family. 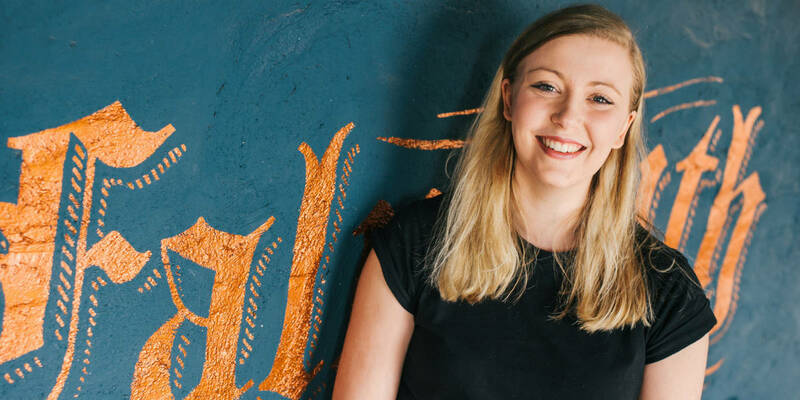 Graduating in 2017, Emma was lucky to land her first full-time job as a Marketing Assistant at The Greenbank to then take on her additional role as Guest Relations Manager. You can’t beat a Cornish cream tea – but it has to be served with the clotted cream on top! It’s just wrong otherwise. I am an big fan of sea swimming – it’s free, fun and always different. If I had to name a favourite beach, it would have to be Kynance Cove on the Lizard. Probably the most photographed and painted location in Cornwall, the contrast between the dark serpentine rock, white sands and turquoise blue waters of Kynance Cove is a breath-taking sight. My favourite thing to do in the winter is to walk the dogs on long stretches of open beach. You will most likely spot me with my four-legged friends running around, jumping in the water and exploring caves, coves and rockpools – and in winter, the beach usually occupies just us!